In her essay We Should All Be Feminists, based on a TEDx talk that she gave, Chimamanda Ngozi Adichie looks at her experiences and relationships with being a feminist and the reaction her feminism that people have had. Chimamanda was first called a feminist when she was young and having debates with one of her best friends, Okoloma who was tragically killed in a plane crash some years later. The thing was that when he said it, it wasn’t a flattering statement. This experience continued in her education as she reminisces about a moment she competed to be a school monitor, only to win and find out only boys could be school monitors – a small matter no one bothered to mention or question. It has carried on into her career as a novelist. He told me that people were saying my novel was feminist, and his advice to me – he was shaking his head sadly as he spoke – was that I should never call myself a feminist, since feminists are women who are unhappy because they cannot find husbands. Some people ask, ‘Why the word feminist? Why not just say you are a believer in human rights, or something like that?’ Because that would be dishonest. Feminism is, of course, part of human rights in general – but to choose to use the vague expression human rights is to deny the specific and particular problem of gender. It would be a way of pretending that it was not women who have, for centuries, been excluded. It would be a way of denying that the problem of gender targets women. That the problem is not about being human, but specifically about being a female human. For centuries, the world divided humans into two groups and then proceeded to exclude and oppress one group. It is only fair that the solution to the problem should acknowledge that. This I found really interesting. Firstly it is a perfectly correct and justifiable response which I hadn’t personally thought about. As I said earlier I see myself as someone who believes in equal rights which I thought automatically made me a feminist, but maybe it makes me a feminist by proxy instead, or not. It is the openness and/or interpretation of the word which differs so much that seems to cause much, not all, of the hoo-ha around it. Secondly, I wondered what Chimamanda’s thoughts on equal rights might be, as equal rights and human rights themselves can differ, dependent on the view. I think. Maybe. More food for thought. Thirdly I started to think about cultural backgrounds or beliefs and how they differ and was just pondering all this and what Chimamanda’s thoughts were on this (reading this became an interesting conversation in my head with Chimamanda that she wasn’t technically a part of but very much the catalyst of, if that doesn’t sound psychotic) when she second guessed me and brought it up. Culture does not make people. People make culture. Chimamanda then goes on to look at how culture, informed by societies, makes the rules and sometimes those rules become outdated or simply become wrong. An example she uses is with her twin nieces who she and all her family see as a wonderful gift, however a while back in certain cultures this would not have been the case. The example she gives is that Igbo people used to kill twins 100 people, now the idea is abhorrent. This can be applied elsewhere in our more freethinking and modern world. If we keep seeing only men as heads of corporations, it starts to seem ‘natural’ that only men should be heads of corporations. My next thought, see I did a lot of thinking about this, was if culture changes surely the term of feminism does too. Is feminism becoming more fluid as gender does? I am thinking in particular in relation to transgender and non-binary feminism, as I said I have been told I can’t be a feminist because I am a man, so what then in those instances. I would love, love, love some essays on this from transgender and non-binary writers please, I think that could create some really interesting debate. If you read this Chimamanda (I can dream, right?) I would love your thoughts on this. That said Chimamanda does look at the roles of each gender and how it is not just down to daughters of the present and future but importantly sons too. Gender matters everywhere in the world. And I would like today to ask that we should begin to plan for a different world. A fairer world. A world of happier men and happier women who are truer to themselves. And this is how to start: we must raise our daughters differently. We must also raise our suns differently. As the son of a woman who brought me up by herself whilst going to university, passing her degree and becoming a successful teacher, I like to think my mother has brought up such a son. So I found it all the more interesting that considering (if I do say so myself) I am very much open to all views and being a big believer in equality for everyone, this essay made me think all the more about it, question it and myself subsequently giving me a real brain work out. 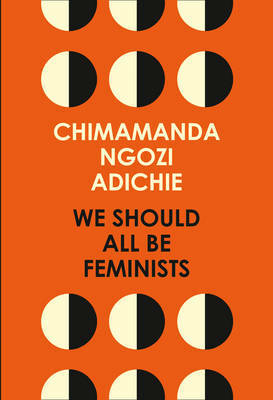 Hence why I think everyone should read it and why, as Chimamanda so eloquently argues, We Should All Be Feminists. We should. The Floating Admiral is a crime novel like many of its ilk written in the 1920’s and 1930’s. This should come as no surprise when you see that Agatha Christie, G.K. Chesterton, Dororthy L. Sayers and many more were part of The Detection Club who collaborated on novels such as this one, taking it in turns to write the chapters. In this tale the body of Admiral Penistone (try not to snigger as I did) is found having been stabbed and left in the vicar’s boat which has been set adrift, ideally to be undiscovered but of course getting found or there would be no mystery. Sure enough it is up to Inspector Rudge to solve the mystery, though with fourteen writers at the helm who can do what they want with the plot (as long as they have a solution to their twists, part of the Detection Club rules, more on later) good luck to him I say. Everyone in Lingham knew old Neddy Ware, though he was not a native of the village, having only resided there for the last ten years; which, in the eyes of the older inhabitants who had spent the whole of your lives in that quiet spot, constituted him still a “stranger”. Not that they really knew very much about him, for the old man was of a retiring disposition and had few cronies. What they did know was that he was a retired petty officer in the Royal Navy, subsisting his pension, that he was whole-heartedly devoted to the Waltonian craft, spending most of his time fishing in the River Whyn, and that, though he was of a peaceful disposition generally, he had a vocabulary of awful and blood-curdling, swear words if anyone upset him by interfering with his sport. …Then I got so bored; so, so bored. 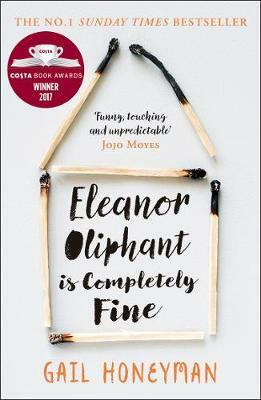 This novel wasn’t even chundering along; it dragged itself rambling through several chapters. This was like a really bad/tedious/dull version of an Agatha Christie novel. Then thank heavens Agatha actually turns up for Chapter Four and it is like a breath of fresh air; it is wryly camp, she brings in a brilliant character which adds some gusto… and then she hurries away as fast as she can after 8 pages! P.C Hempstead grinned in spite of himself. It then swiftly descends again and I found myself thinking ‘just hold out for Dorothy L Sayers, Simon, she is meant to be amazing.’ Amazing? Amazingly full of herself! Her chapter rambles on and on and on, compared to Agatha’s eight snappy pages Dorothy decides why go for eight when forty will do. It is relentless. I even tried to be charitable and say to myself ‘poor Dorothy, she’s been given some dross to work with and sort out’ still that dreary never ending chapter doesn’t read well. She’s a pro so I feared for what followed and I was right to. The whole idea behind The Floating Admiral was supposedly a fun exercise for the authors involved to test themselves and just be creative, sworn over a skull or some such delightful gothic ritual. It becomes a case of showing off and one-upmanship. Take the chapters after Agatha; John Rhode decides that Inspector Rudge Begins to Form a Theory, then clearly not happy with this at all Milward Kennedy decides that in the following chapter Inspector Rudge Thinks Better Of It. And I almost wept as after Dororthy had finished her smug tirade Ronald A. Knox decides to go over the whole case again with Thirty-Nine Articles of Doubt where basically, possibly out of confusion or more likely one-upmanship, he decides to go over the whole case again from the beginning and see what can be worked out. By then there was so little left I felt I had to get to the final chapter, ironically called Clearing Up The Mess, where upon I wish I hadn’t bloody bothered. I can’t think why we have hardly heard of most of these authors can you? There was one small glimmer of hope, though this shows how bad it got for me; the Appendices’ were quite good, sort of. You see as I mentioned before each author had to give their solution to explain why they had done what they had. As you read them you can see how the writers were writing and plotting and twisting and that is quite interesting. I say quite because one of two of them (yes you Dorothy) decide they need to show how clever they are by almost writing the rest of the book word for word. 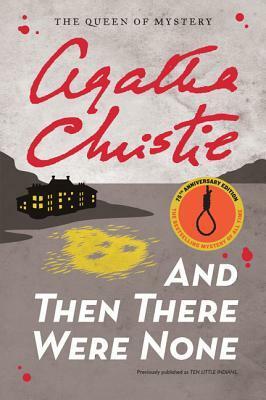 Here the star of the show shines through again, Agatha Christie’s solution is brilliant (it involves cross-dressing) and frankly should have been a book, and in fact I am hoping it is actually the plot of one of hers I have yet to read. You could say that The Floating Admiral really just isn’t a book for me. 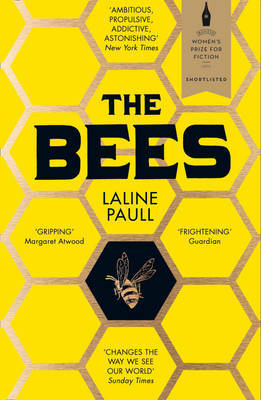 I would go further and say it is possibly one of the most tedious crime novels I have ever read/endured. I will not be reading another; I may also now never read Dorothy L. Sayers unless someone does some serious convincing. I would rather just read Agatha; you can see why she was Queen of Crime at the time.